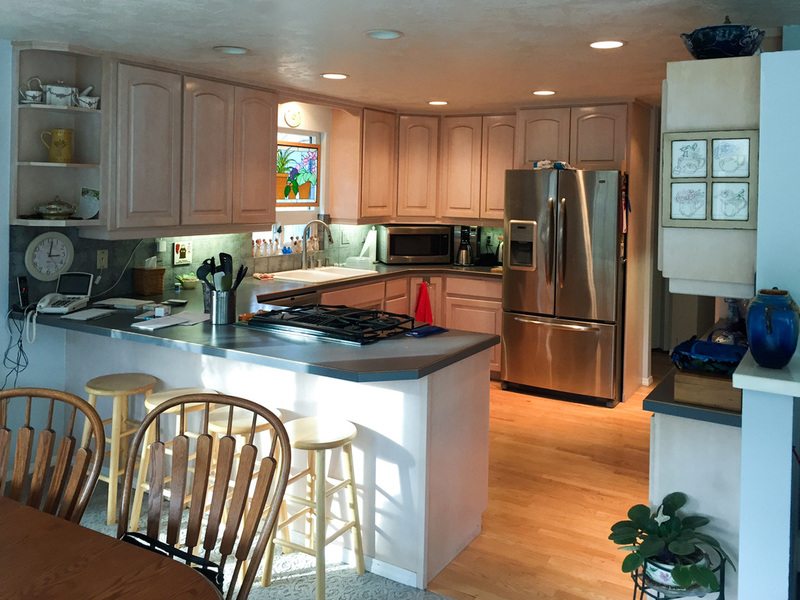 John & Kathie wanted a kitchen make-over. Being a good-sized kitchen with a great layout, there were only a few physical tweaks needed. 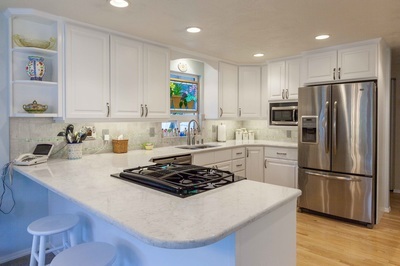 Kathie wanted the microwave off of the countertop and envisioned an updated, soft, elegant, timeless look. I recommended getting rid of the recessed front on the sink cabinet, a hallmark of an earlier era. 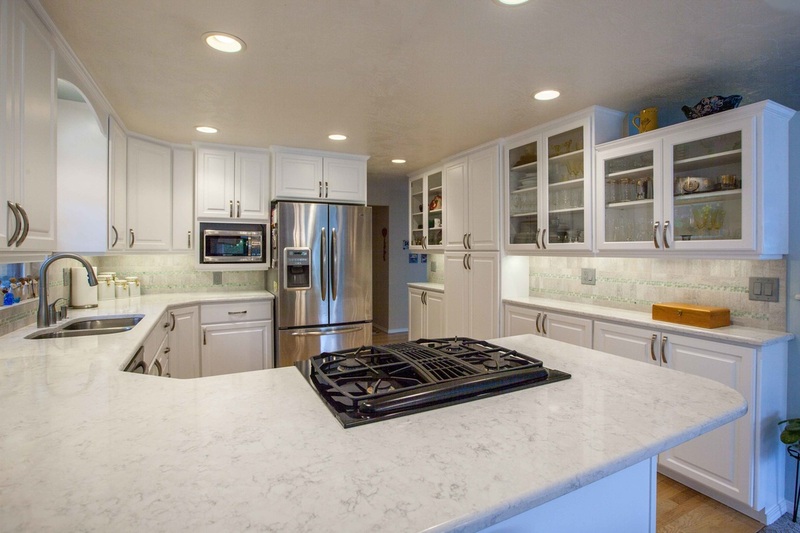 New countertops, updated lighting, new sink, faucet, and a tile backsplash completed the want list. 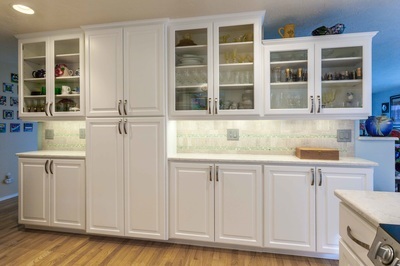 She loved the glass cabinet doors she already had, so preserving that look was important. The original cabinet doors, drawer fronts, and moldings were discarded. 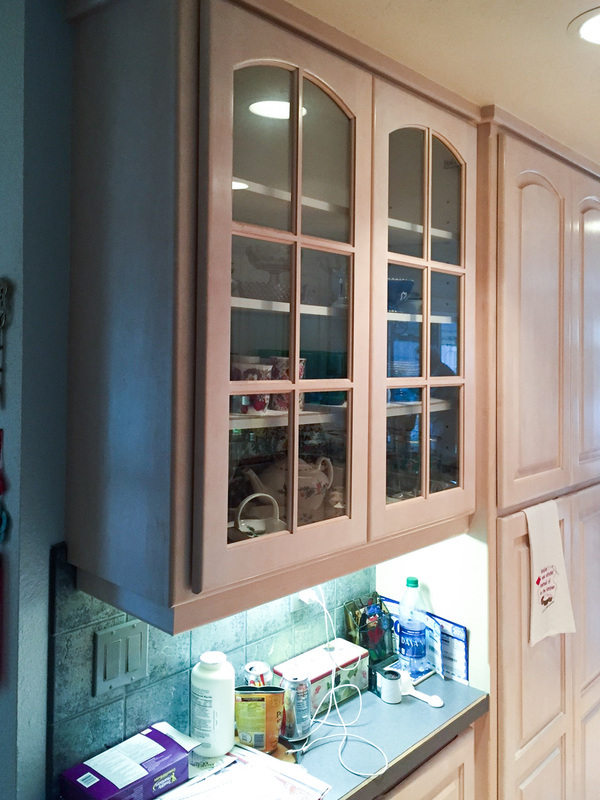 We created a microwave cabinet next to the refrigerator to free-up counter space. 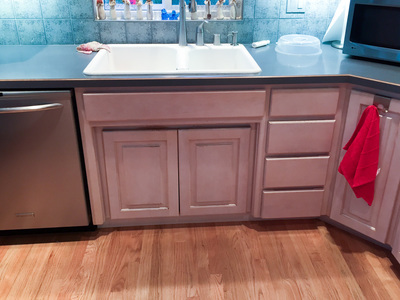 The sink cabinet was modified to eliminate the old-school recessed sink front. 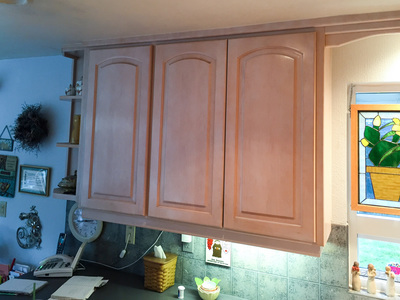 New moldings were added and then the original cabinet boxes were painted in place. 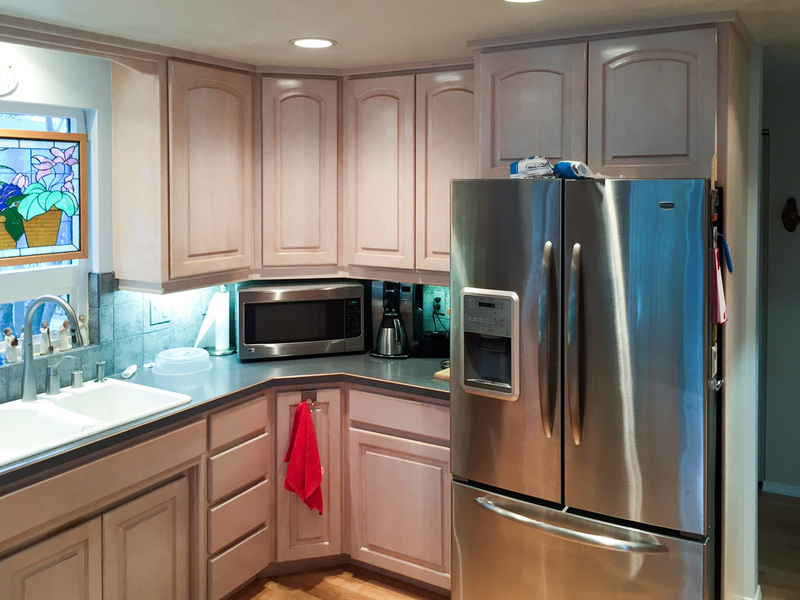 New hard, durable, factory-painted doors, and drawer fronts were installed. 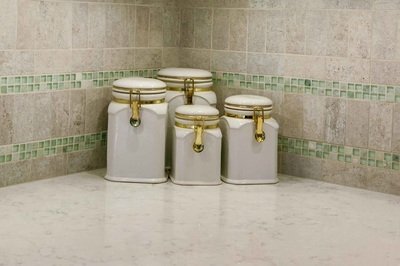 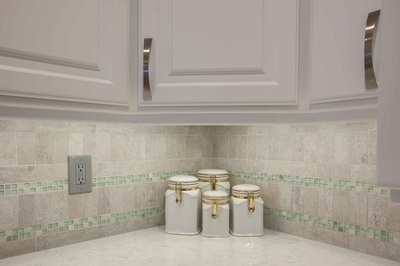 LG Viatera Quartz countertops in a subtle marble pattern add elegance. 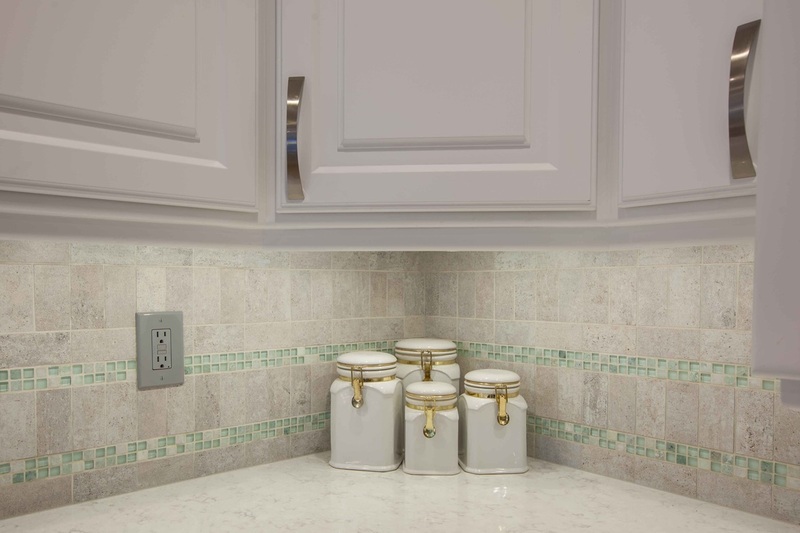 An understated, textured, background tile lets the soothing green glass mosaic accent tile do most of the talking. 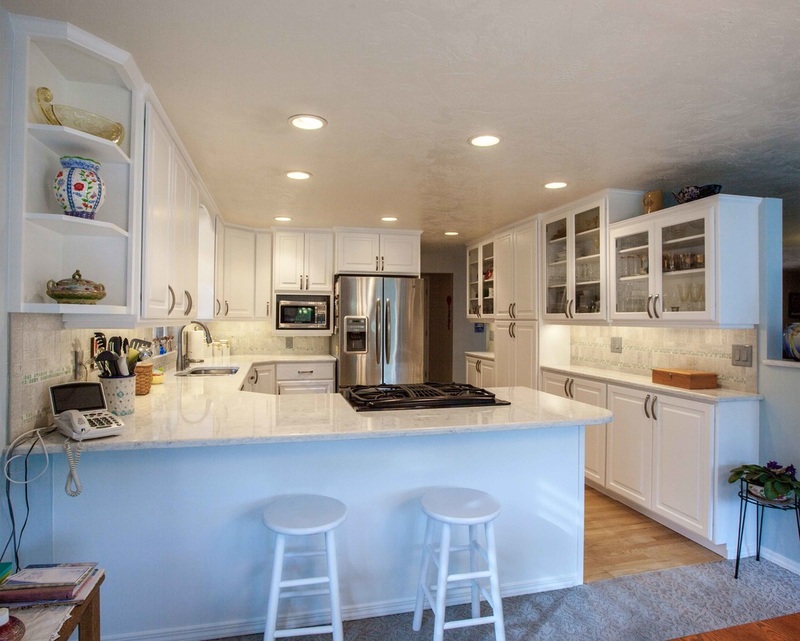 The original, blinking, fluorescent under-cabinet lights were upgraded to continuous LED lights. Already having a beautiful hardwood floor in place, all we needed to do was make sure it was protected during the project. The overall effect is one of soothing, classic elegance. 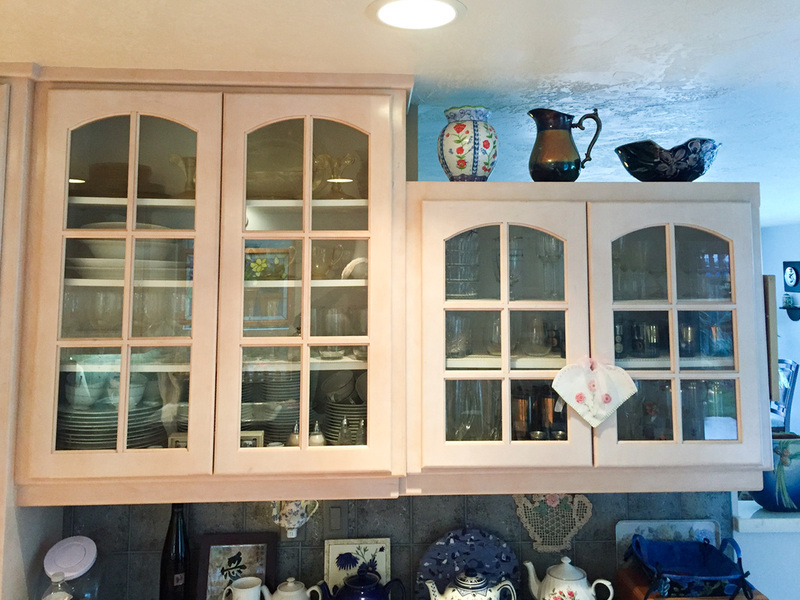 Kathie commented that a sense of well-being comes over her each time she enters her kitchen.